So you’ve decided you want to build an app. You’ll have your icon on the mobile home screen, the content available offline, all that good stuff. But are you aware of what an offline web app offers? It may be just what you need. As the name implies, an offline web app makes its content available even when the user is not connected. You can benefit from an icon on the device home screen to open your app, and you can notify users when you have updates ready. Furthermore, your web app will be compatible across all devices. The app icon we have created here is bundled with the app when it’s downloaded. All the user has to do is add or bookmark the app to their home screen, and the app can be opened directly with one click. 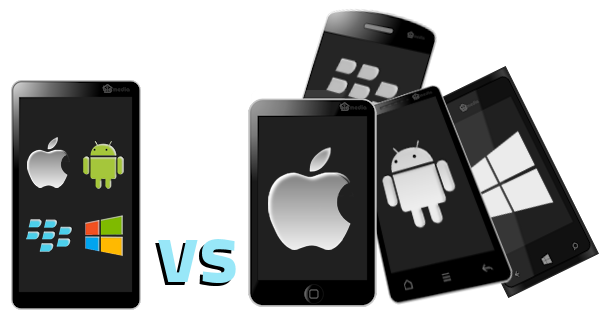 The examples below show the app icon displayed on Android, iPhone and Windows mobiles. The same can be applied to iPad, Android tablets, BlackBerry mobiles etc.